PLEASE NOTE: THE GOVERNMENTS DECISION TO BAN ELECTRONIC COLLARS IN THE U.K. APPLIES ONLY TO REMOTE TRAINERS AND NOT OUR CONTAINMENT SYSTEMS. Whatever your situation, we have a solution! When it comes to safety, convenience and peace of mind, our products have won the hearts of over two million owners and their furry friends with a 99.5% customer satisfaction rate. We understand that every household has its own set of challenges and that every pet is different. For ﻿﻿indoors﻿﻿, ou﻿tdoors or multiple pet situations, we have the products that can be personalised to fit your specific needs. For nearly 40 years, our expertise in pet management has earned us a reputation for caring, quality, innovation, and reliability. Today, we continue to deliver the most effective solutions on the market. Our innovations have truly set the bar in the pet industry. We constantly work to find innovative and technically advanced ways to keep pets out of danger. Collars: The lightest (28g), smallest, most customisable collars (over 1,000 customised setting available) on the market, fitting every size pet (even puppies at 8 weeks). Training: We began Perfect Start™ training decades ago, realising that the key to success is training specifically customised to your pet and to your home. By consulting the nation’s leading vets, trainers and behaviourists. Perfect Start™ training gives our solutions an edge and effectiveness others simply can’t match. Installation: We've seen every driveway, street corner, garden, and terrain out there. With that much experience, we've given 2 million homes a perfect, easy installation that gets done right the first time. Total Pet Environment: We may be best known for keeping pets happy and safe in your garden, but we bring happiness to the entire house with our innovative indoor fence, feeding and watering systems, behavioural solutions and more! Invisible Fence® dealership serving London, Hertfordshire, Cambridgeshire, Surrey, Bedfordshire, Essex, Suffolk and Norfolk. Dog containment or Cat containment system to training your pet, making sure you get the best customer support, should you need it. Pet management products and services that ensure a better quality of life for your family and your pet. 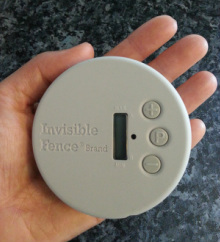 Invisible Fence® Brand East of England is an authorised, full service dealership and is not to be confused with other brands of dog fencing, cat fencing, dog fence or cat fence company like Freedom Fence, Dog Fence, Canicom or Pac, who all claim to provide an invisible dog fence or Invisible cat fence. © Copyright 1973-2018 All Rights Reserved. Invisible Fence® is a registered trademark of Invisible Fence, Inc.
We offer the very best in Cat Fence, Dog Fence and Dog Fencing expertise.